As a food blogger you can imagine I get invited to lots of restaurant launches and for review meals. As fun as it sounds sometimes it can be a lot of work – the restaurants I am invited to can be an hour or more away, I have to take a LOT of pics and sometimes if its a launch event its just a few nibbles. This is why it was truly a pleasure to be invited to the launch of the new Sosban Llanelli menu followed by a full review of Sosban. Sosban has a bit of a special place in my heart. It was the first nice restaurant we took Izzy to when she was just a baby ( rather nervously I might add ). It’s also the place where we celebrated my birthday last year and my Mums 60th. It s a restaurant we already know and love so I guessed it would be an enjoyable review. The launch party was lots of fun, we were sat with fellow blogger ( and my sister in law ) Lovely Appetite and her husband Matt and the prosecco was flowing all evening along with LOADS of samples from the new menu PLUS it was my birthday – yes two years in a row spent at Sosban. 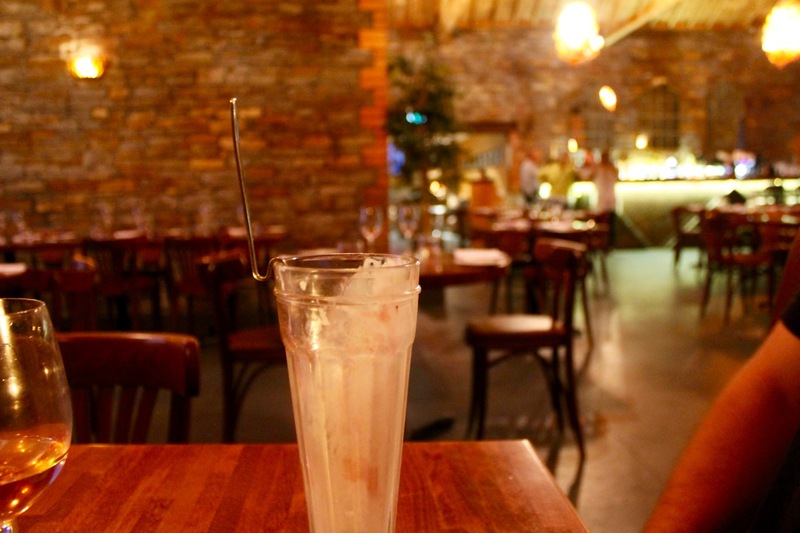 The following week we went for a full review meal of the new menu and it’s a bit of a knockout. 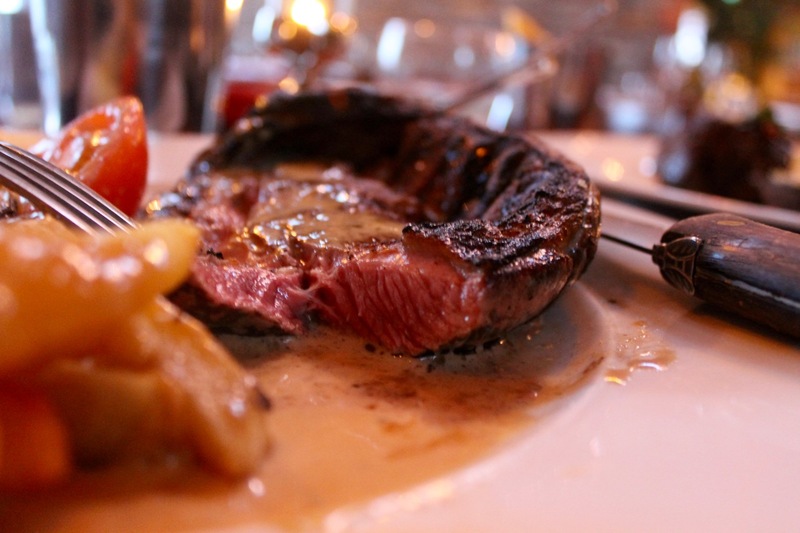 Lets start with the actual restaurant ambience and staff – two of the most important aspects of any meal out. Situated in a Grade II listed building and located on Llanelli’s North Dock, the redevelopment of the building was undertaken by Bendigo 9-10, a company formed by Wales and British Lions rugby internationals Stephen Jones and Dwayne Peel, construction entrepreneur Robert Williams and restaurateur and food broadcaster Simon Wright. A testament to the detailed and beautiful engineering of the Victorian era, the building is a wonderful monument to the proud industrial heritage of the area. The inside is just as pretty – stylish yet not overly modern with the prettiest lights you ever did see. The staff are always friendly – not just during a review but every single time we have visited. The service we had during my mums 60th was incredible – every single member of the 30+ party was impressed by both the food and the attentive staff. On this visit it was as if the staff had found out my age and compiled a playlist of tunes from the summer time in my late teens – every song made me smile and think about when the song came out and what I had thought of it at the time. I am PRETTY sure this was not for my benefit but it was so nice. 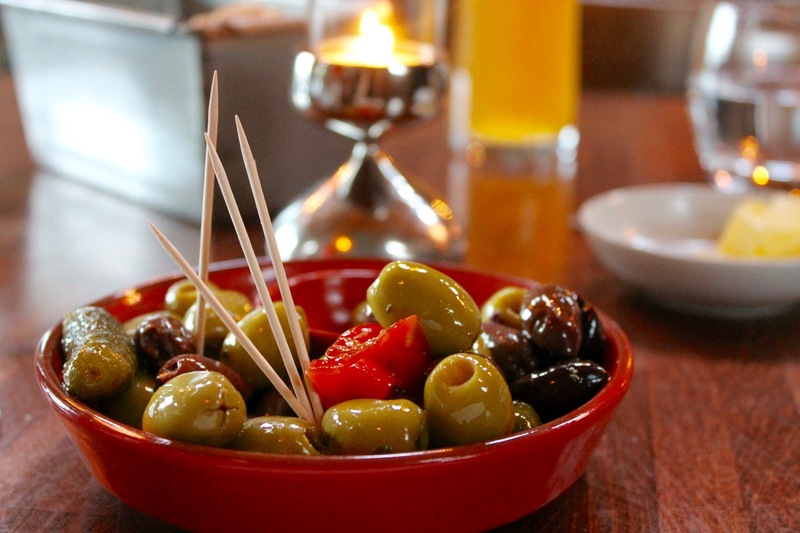 We started with nibbles and drinks, a plate of delicious home marinated olives and baked breads – Sosban make a bread which is almost cake like and so tasty – I want the recipe! 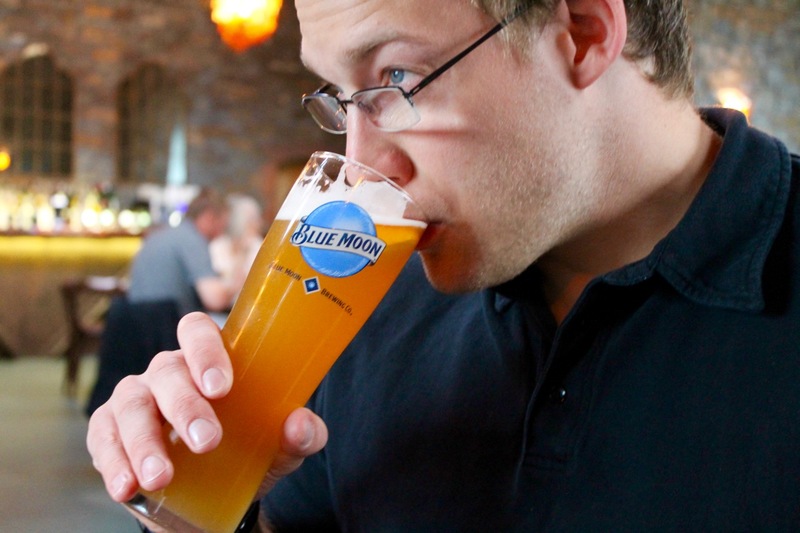 I had a glass of wine and Andrew had a pale ale called Blue Moon. I started with Duck Arancini with a rhubarb and orange chutney – not a dish I would normally choose.. in fact I don’t normally enjoy duck but the waiter recommended this and it was truly delicious. 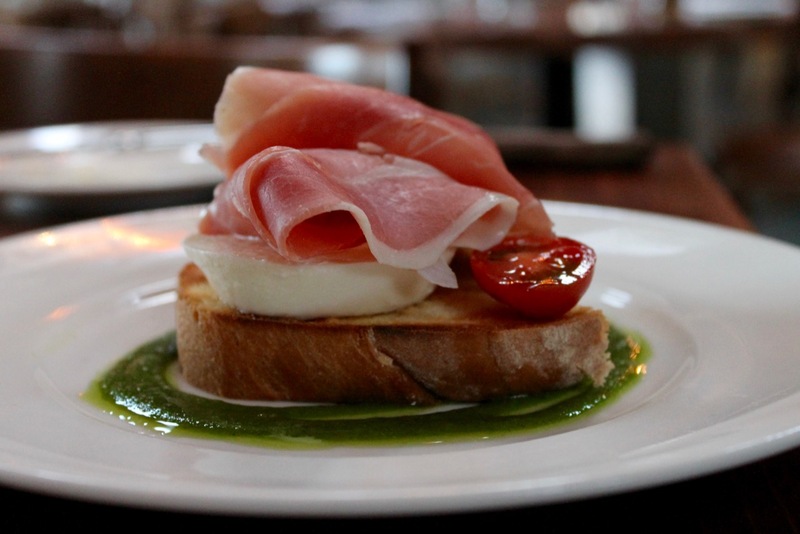 Andrew had Carmarthen Ham and Mozzarella Bruschetta with fresh basil – perfectly prepared and full of flavour. He enjoyed and I had a taste too and it was so fresh and a lovely light starter. For my main I had the Gower Bone In Lamb steak served just the right shade of pink for me, accompanied by some incredibly tasty, crispy chips and a creamy pepper sauce. 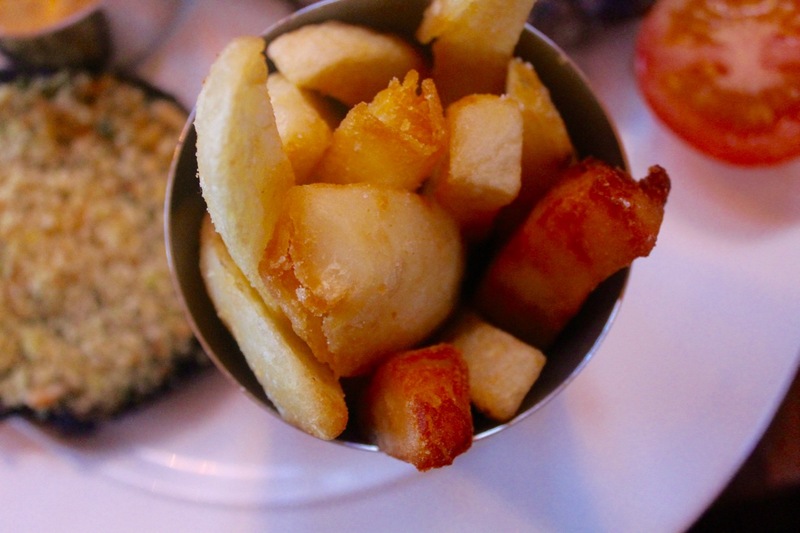 I am extremely fussy with chips and these met my ( rather high ) standards. 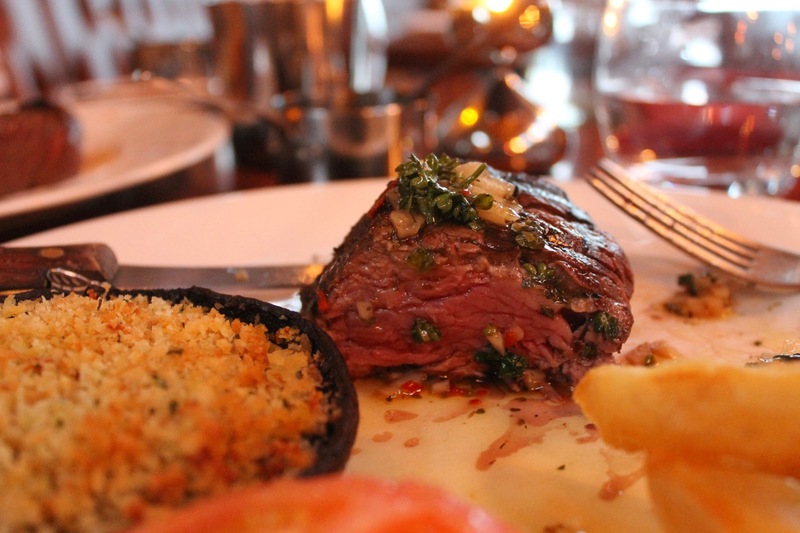 Andrew had the fillet steak ( cooked a perfect medium ) along with chips and the chimichurri sauce – something we had never tried before and so good! 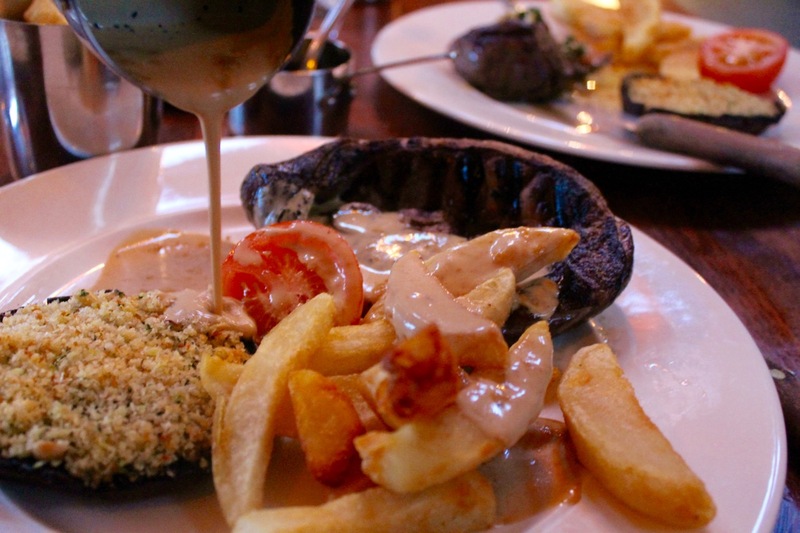 Both mains were served with a large stuffed mushroom and tomato which again really enhanced the dish. 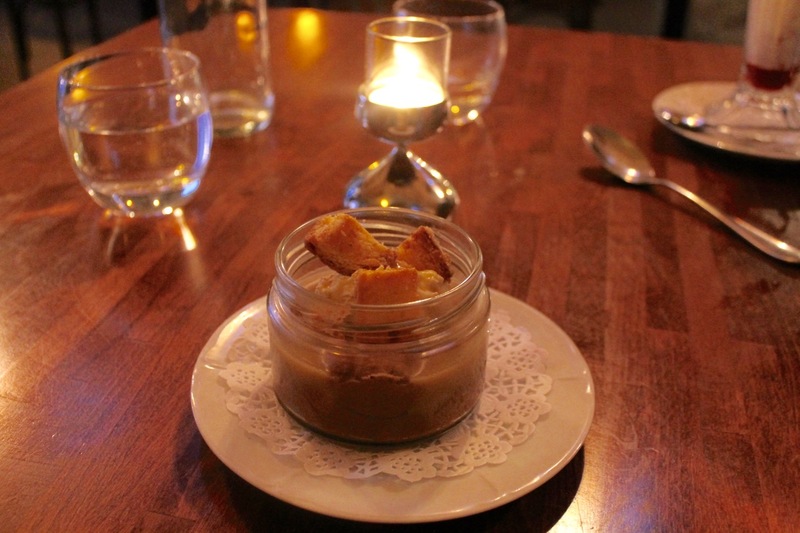 For dessert I had a dark chocolate pudding with salted caramel and brioche croutons – an obvious choice for me the salted caramel addict! 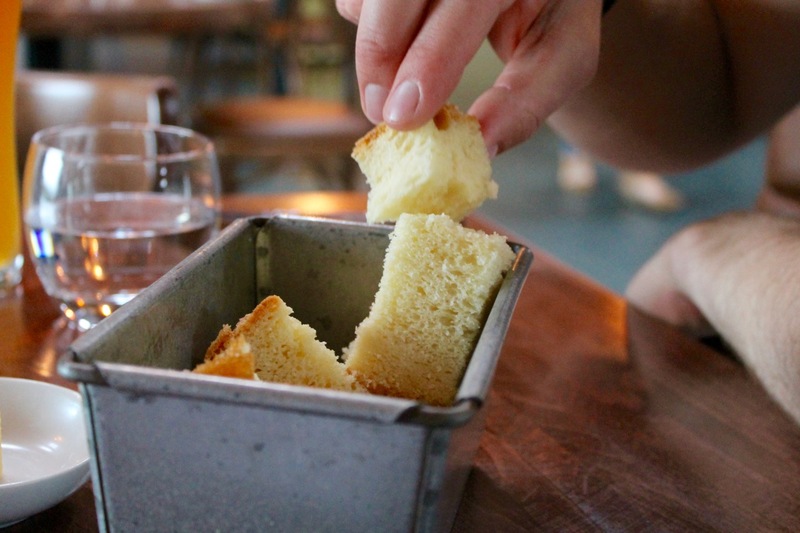 The pudding was dense and rich, the salted caramel sauce was buttery with a hint of salt and the brioche croutons were out of this world! 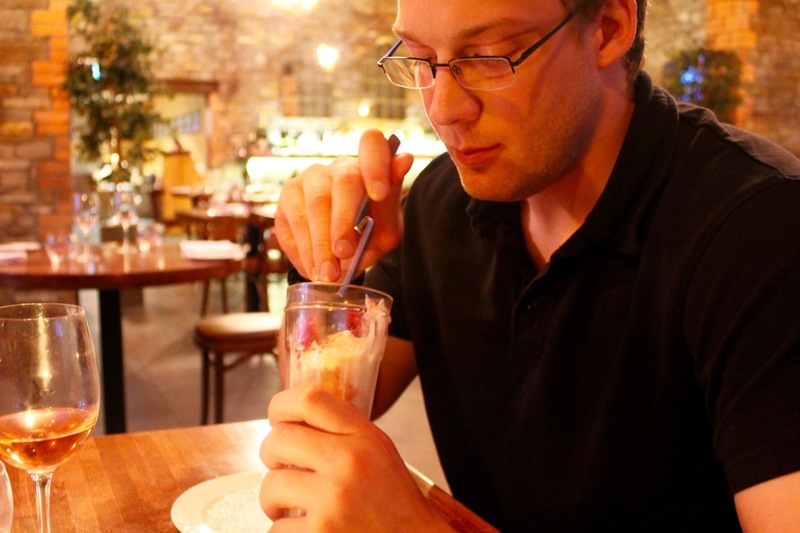 Andrew had an ice cream sundae with a selection of flavoured ice creams which he really enjoyed – in fact I didn’t get a look in! Also how cool is that spoon?? 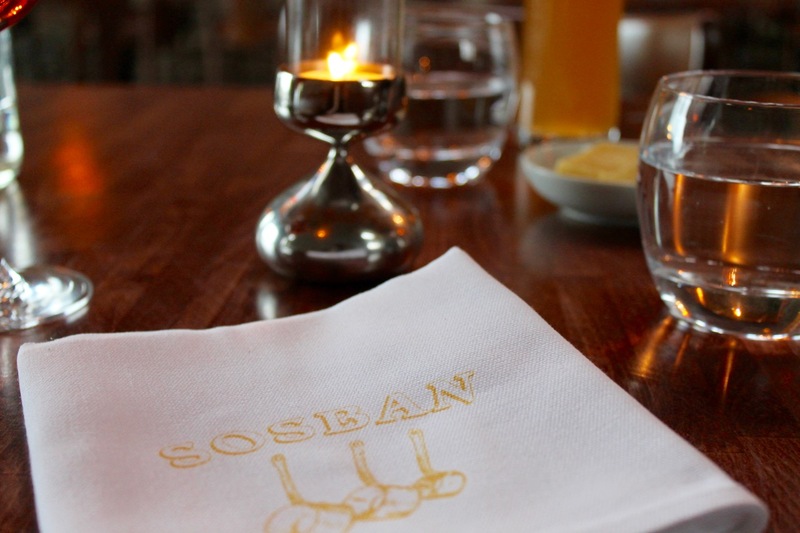 All in all a fantastic dining experience – I realise this sounds a little gushing in places but I really can’t recommend Sosban enough whether you are local or visiting the area. There aren’t many restaurants of this calibre in South Wales and its a place I will return to over and over again. * Our meals and drinks were complimentary for the purpose of this review. All views as always are my own. The best restaurant in Wales by far! We went once a week when in Wales! We are now in the US and have not found a restaurant equivalent to Sosban. I am American and my husband is Welsh! Really miss it! Will be our first stop when we next visit Wales! Lovely review and such lovely pictures. 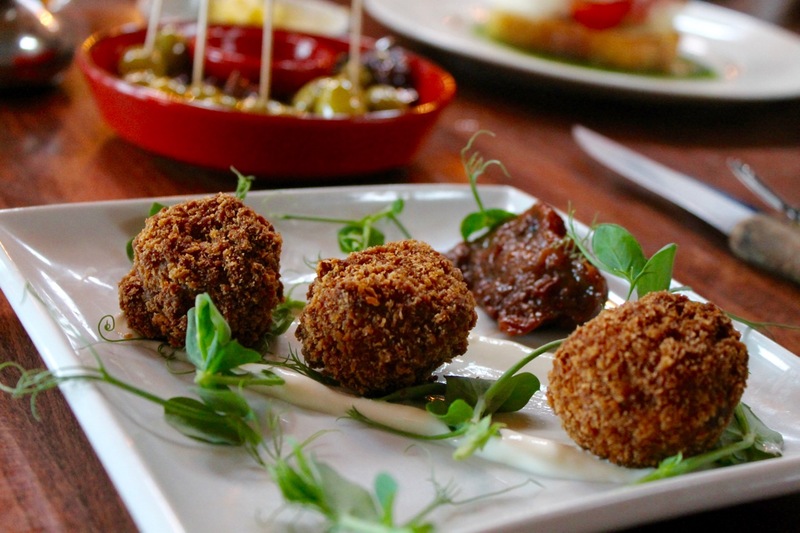 The food looks amazing, I think I need to visit next time I’m in Wales. Sounds like a lovely place to visit, especially that you are returning to them again and again. The food looks delicious! This sounds and looks gorgeous – My husband is Welsh and I’ve already added this to our list for next time we visit the rallies. Odd question – Sosban as in Saucepan? Husband sang Sosban Bach to me when we went to the rugby when we were dating!